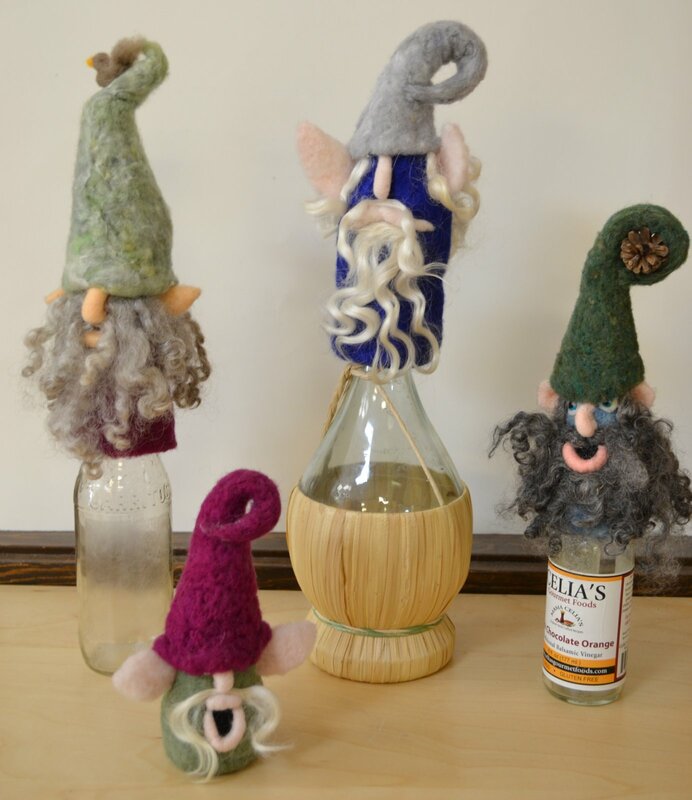 Come join us and make your very own gnome bottle topper! All of your tools & supplies are included in the class fee. Includes all the felting needles, work surface, core fiber, finishing wool and beard locks you will need to complete the gnome. Please bring your own bottle. Long necked such as soda, beer, oil or wine work well. If you have any questions please call or email. We will be happy to answer any questions you may have.